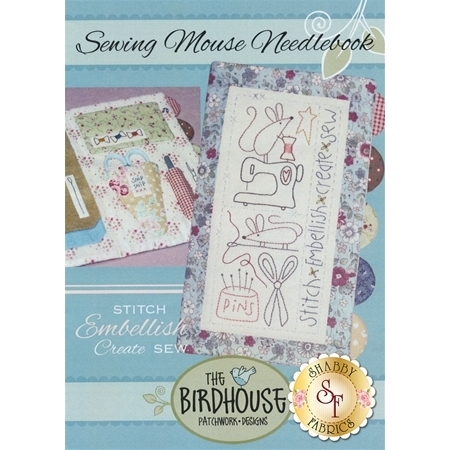 Sewing Mouse Needlebook is a fabric book for your go-to sewing aids! This needlebook has pockets for scissors, unpicker/seam ripper, threads, and wool for holding needles and pins. 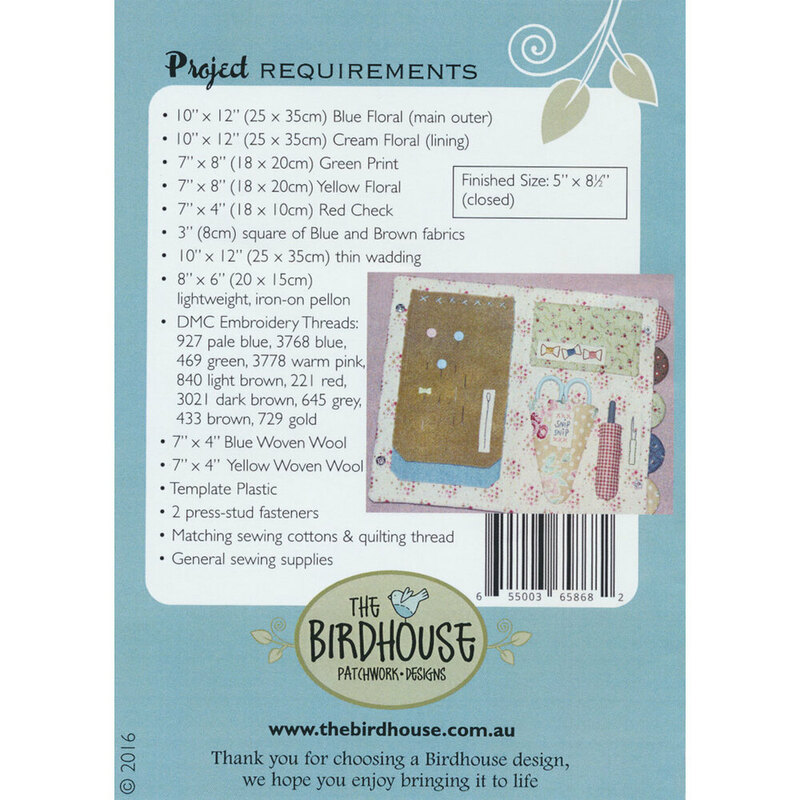 Designed by Natalie Bird of Birdhouse Patchwork Designs, the hand emroidered sewing mouse on the front of the needle book comes with the pattern and is ready for embroidery. Finished project measures approximately 5" x 8 1/2" when closed.